Whether you’re being audited by the IRS or you just don’t know how to file your tax returns, the truth is, Tax Day is a frightening day for all of us. What’s even worse is that nearly half of all Americans don’t even know what tax bracket they’re in (or, for that matter, what a tax bracket is). And that’s a scary thought indeed considering that 76 million Americans are struggling to get by. This is where it helps to find a great tax attorney. Luckily for you, we’ve compiled 10 tips to find the best tax attorney so that Tax Day can look a little less like Friday the 13th. First things first: you need to know what kind of tax professional you need. Certified public accountants (CPAs) can represent you in the case of an IRS audit, an appeal, or a collection issue. Enrolled agents are licensed by the IRS and are trained in individual and business tax preparation, tax planning, and representation. Finally, there are tax attorneys, who are the ones you want to go to if you’re unclear how a tax law affects you, if you’re dealing with a tax dispute, or if you’re dealing with certain aspects of tax preparation. Before you go to a tax attorney, you should also know how much help you need. There are generally two ends of the spectrum when it comes to hiring a lawyer. Either you need a little advice and coaching to stay on track, or you’ve been putting off a problem for years (or the issue is upsetting) and you need to dump your entire legal problem on a lawyer’s desk for them to untangle. Where you fall in the scale of things determines how expensive your lawyer’s help will be. It also changes what kinds of services your lawyer will offer you, so it’s important to know exactly why you’re speaking to a lawyer before you go to their office. Once you know the professional you need and you know what kind of help you need from them, you need to figure out where to look. A good place to start is personal referrals. Put out feelers with your friends and family–it’s highly likely that someone in your family has dealt with a legal issue at some point and can refer you to someone, or knows someone who can refer you. Alternately, if you run a business and need tax help for your business, talk to other business owners about who they use and what their experience was. Once you have referrals, how do you sift through them all? It helps if you know what makes a good tax lawyer. For starters, it’s a good idea to find an office that focuses exclusively on tax preparation. That way, you know you’re dealing with an office of specialists with a range of experience. It may seem obvious, but a good tax attorney should be in good standing with their state Better Business Bureau and state bar association, and they should have experience dealing with the IRS. Before you set foot in any lawyer’s office, you need to understand an essential fact: every tax case is different. A tax relief case looks different from an audit case, which in turn looks different from a tax debt or corporate tax case. Because of this, you need to find a lawyer who specializes in your specific problem. That way, you know that they have the tools and knowledge needed to help you. It seems pretty basic for a law office to tell you the facts of your case, right? But there are some offices and lawyers that don’t bother to explain the details of your case. And that’s a problem because you’re talking about your money and your financial future. 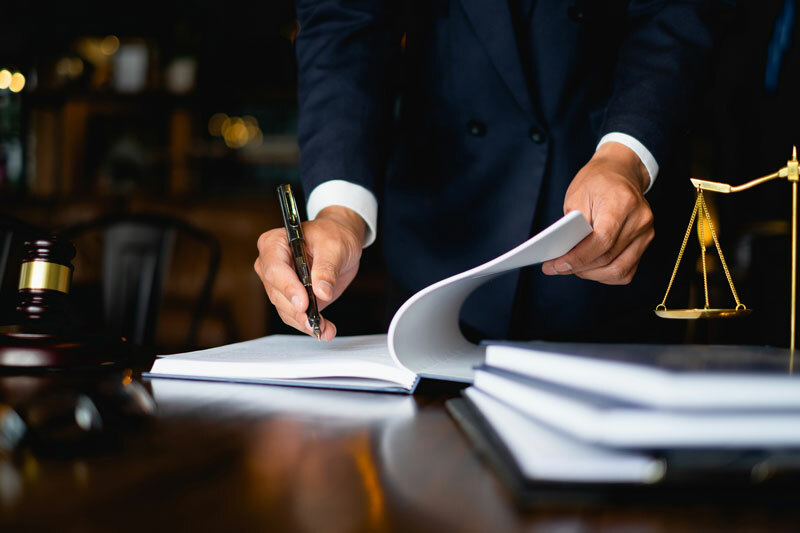 As such, you should always look for a lawyer and a law firm that offers transparency throughout the entire process, including their legal fees (some law offices will draw clients in with low starting fees and surprise them later with high fees). You’re already dealing with tax problems. You don’t need the runaround from your lawyer. With this in mind, before you hire any lawyer, you should take the time to research their reputation and background. An easy place to start is to look into the law school they attended and see what that school’s reputation is for turning out good lawyers. Another approach is to ask a potential attorney if you can speak with their former clients about their experience. Here’s the thing: you don’t need former clients to break attorney-client privilege to tell you about their experience with that lawyer. Was the lawyer open about the process? Did they take the time to explain what they were doing so the client could make informed decisions? Did the lawyer handle the case themselves, or was it pawned off to a paralegal? What about surprise fees? Are they a trial lawyer, or a settlement lawyer? A former client can tell you all of these things, and a tax attorney worth hiring won’t be shy about letting you speak to former clients. After all, if they did a good job, the client should have nothing but positive things to say. Finally, you should seek a lawyer with whom you have personal compatibility. Remember, your attorney is going to help you through a stressful process, and they’re going to be up to their elbows in your private financial information. That requires a lot of trust between you and the attorney. If you’re not comfortable with the attorney, you’re not going to want to tell them essential information for fear of embarrassment. That limits your attorney’s ability to help you. Now that you know how to find the best tax attorney, are you ready to take control of your taxes? We are tax debt relief specialists, and we are proud to be one of the best tax resolution services in Michigan. We offer tax help for individuals, businesses, and the self-employed. Click here to check out our services. If you’d like to schedule your free consultation, use our contact page to get in touch today.